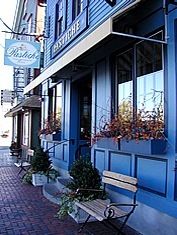 Pastiche provides an intimate European style café. A small staff of dedicated bakers uphold the philosophy to create simple but superb desserts that have become renowned throughout New England and beyond. Pastiche is a wonderful place to enjoy an afternoon cup of tea or a cappuccino and delicious dessert!